I finally got sick and tired of tent camping. It was more then just having to keep setting up and tearing down the camp every new site. It was also waking up in the morning and struggling to roll out of bed due to the rock or stick in my back all night. Along with this packing the tent and all the required gear with in in my vehicle bacame more and more difficult. This is when I started looking at a few options. I could get a Roof Top Tent (RTT) these are very nice and quick to setup. They come with a comfortable pad to sleep on. They are also nice and high off the ground so you don’t have to worry about animals as much. To set them up you remove the cover. Fold or crank it open. Then add any poles needed to hold it tightly open. They range from $1,500 to $5,000. I would mount his on the roof of my vehicle or on top of a tub trailer. This was the cheapest option I was looking at. The other option was to get a trailer. 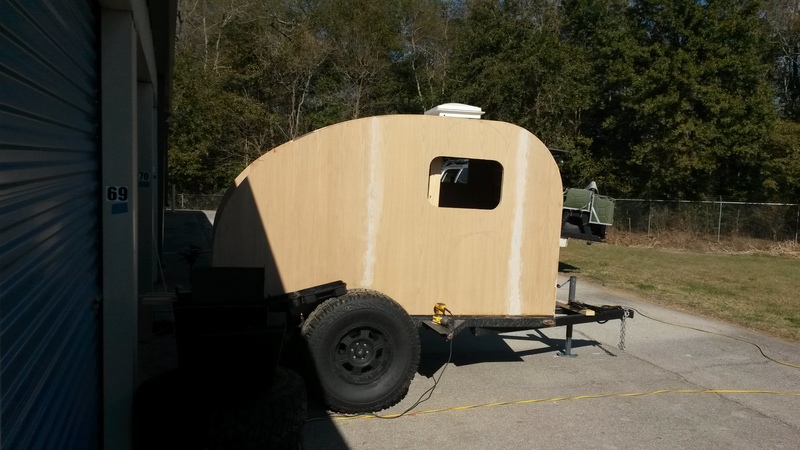 I could get a old military trailer or build one of a similar design. 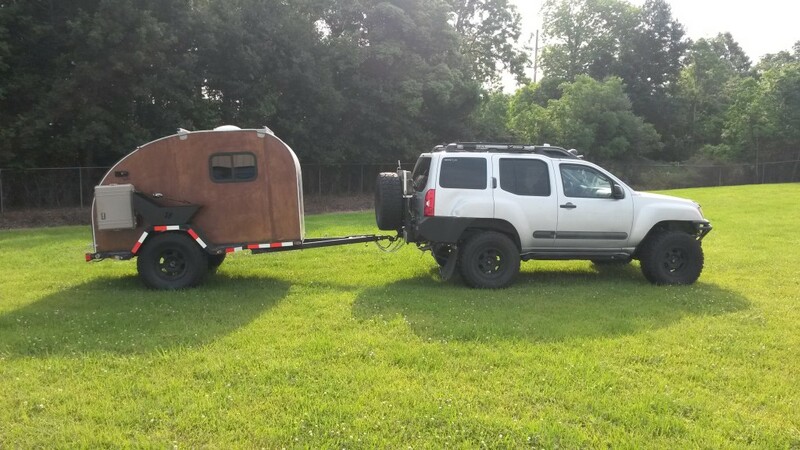 This would allow me to carry extra equipment for longer treks along with putting the RTT on top of it so it was not permanently mounted on my vehicle. One of the benefits of a trailer is you can park it at a base camp. Then go out wheeling without dragging everything with you. You also don’t need to brake down camp everyday for this same reason if you want to drive somewhere. 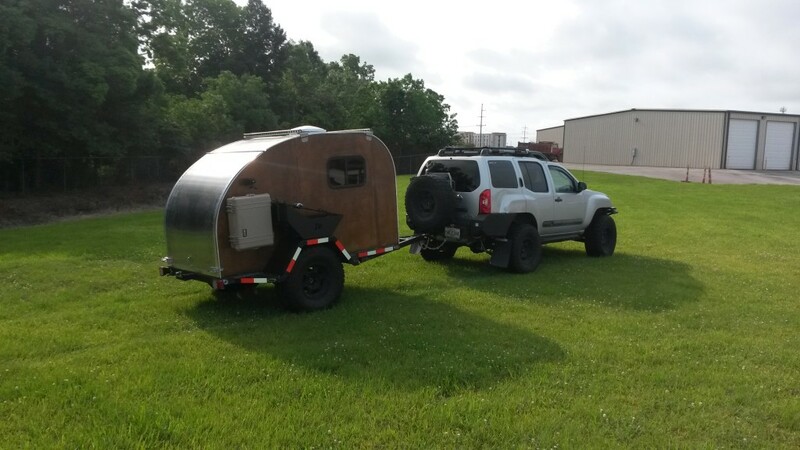 The last option which I decided to go with was a Teardrop Trailer (TD) or AKA: small camper to sleep in. This seemed like the best option to me for several reasons. I could haul more gear like I could with the tub trailer. There might not be as much room as a tub but enough to easily get buy. I also could pull into a camp spot and go straight to bed. No setting up a tent or setting up a RTT. The galley or kitchen can be built into the back of these and you don’t have to set it up every time you want to eat something warm. This means I could pull over mid day and eat something besides sandwiches. Along with this the bed could be the most comfortable as it stays in place. You can Also get special accessories inside the TD like a TV, Radio and such. You can also have the walls insulated to help stay warm or cool. Some people have heat/AC, and so much more. How could you not love a small camper like this. Then the last decision I had to make was to buy or to build one myself. I kept looking at the time constraints of building one. I wanted to leave in 9 months. Then looking at the cost of $18,000-$35,000 for a high quality off-road quality trailer. If I was going to buy one on the low end of $18,000 and install all my own accessories how can I guaranty they would fit without major modifications. Or order everything I wanted it was going to be in the $28,000+ range. Yes you can buy a road model for much cheaper but would it hold up to the riggers of the dirt/rock/sand path I was going to take it down? So after seeing this price range and realizing it would take me another year to save up for this type of investment. I started to look at building one again. The average person takes 1-2 years there first time. But hey I’m single, no children and I’m dedicated I think I could do it in a 8 month time period now that I am down too.